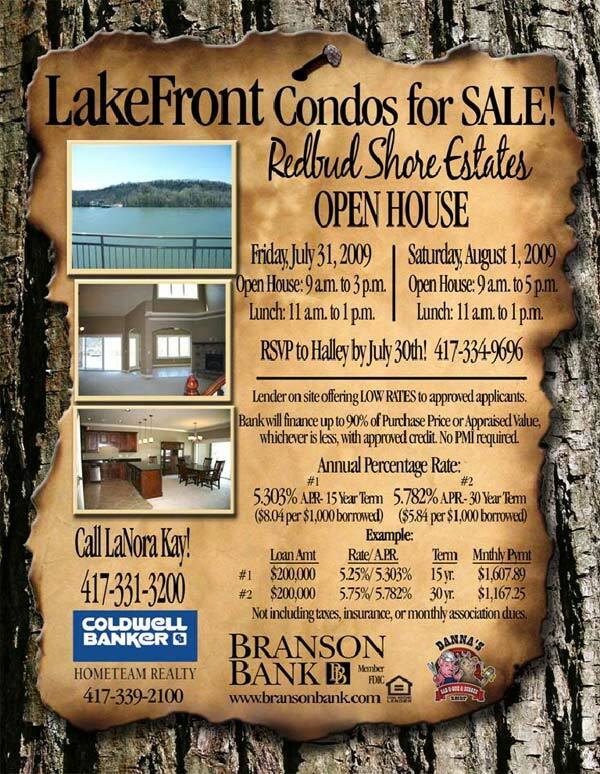 The deadline to sign up for a booth at the Branson Area Business Expo 2009 is Friday, July 31. The Expo will be open to the public from 11:30 a.m. to 5 p.m. on Thursday, Aug. 20, in the Chateau on the Lake Resort & Convention Center. The Expo provides members of the Branson/Lakes Area Chamber of Commerce the opportunity to showcase their goods and services. Springfield Business Journal is a partner in the event. From 2 p.m. to 3 p.m., sponsor The Center for Workforce Development at Ozarks Technical Community College will present a free workshop on “Lean” principles that can be adapted by the service industry to reduce waste. Branson’s Skaggs Regional Medical Center welcomes Gary Lambert as its new Director of Human Resources. Lambert will lead the department in the same outstanding customer service Skaggs provides to its patients on an internal customer-oriented basis; addressing all staff needs of Skaggs. Prior to joining the team at Skaggs Lambert worked for a number of years in hotel management, transitioning to Human Resources in 1988. He worked as Director of Human Resources at Grosvenor Resort at Walt Disney World Village for 9 years and came to the Ozarks in 1997 as the Director of Human Resources at Big Cedar Lodge, where he worked for almost 12 years. His training programs geared toward customer service will capitalize the already strong dedication Skaggs’ employees have to their customers. Lambert and his wife, Debby, have been married for 35 years. Debby works for the City of Branson. Lambert says his mother, Barbara, has lived in Branson since 2000 and has worked as a Skaggs Volunteer since 2003 in the Surgical Waiting area. Hollister After Hours – Dino’s 24 Karrott Cake Co. Speakers will present on topics related to development in our county and the ARRA Federal Stimulus Package. The second is the Clothe-A-Child 5K/1mile walk/run on Saturday, July 25, on the Lakeshore Trail. This event is hosted by three area organizations Christian Action Ministries, OACAC and the Salvation Army. Participants are asked to meet at the Dewey Short Visitors Center just south of Table Rock Dam on Missouri 165 for registration at 7 a.m.; race at 8 a.m. Entry fees are Adults, $18 in advance; $25, day-of-race. Ages 14 and under, $10. Register at www.christianactionministries.org. Vendors, crafters and farmers alike are invited to participate in the Boys & Girls Club of the Ozarks’ first-ever “Junk in the Trunk Fare” on Saturday, August 8, 2009. This farmer’s market-style, indoor garage sale consists of booth space for rent inside the Lake Taneycomo Elks Unit gymnasium and admission to the event is free to the public. Amy Blackwell, Forsyth Program Director says, “We are anticipating everything from handmade jewelry and crafts, to Avon and Pampered Chef representatives, and other homemade or garage sale goodies. It should be lots of fun and will raise money for our after-school programs for kids from the Forsyth and Taneyville areas.” Booth space is available for only $20 and a limited number of booths with access to electricity are available on a first-come, first-serve basis. In addition to signing up for vendor booths, individuals and groups are asked to search their closets and attics for gently used items that can be donated to the Boys & Girls Club. Becky Roberts, the Forsyth Club’s Advisory Council Chairperson, adds, “The Club will be having their own indoor garage sale the day of the event and we would love to have lots of great items for customers to choose from.” Such donated items can be dropped off at the Forsyth Club or People’s Bank between the hours of 8:00 am and 4:00 pm, Monday through Friday, until August 7. For more information, or to sign up for a vendor booth please call Natalie at (417) 335-2089 x 230. Three area organizations will host the Clothe-A-Child 5K/1mile walk/run on Saturday, July 25, on the Lakeshore Trail. Meet at the Dewey Short Visitors Center just south of Table Rock Dam on Missouri 165. Registration at 7 a.m.; race at 8 a.m. Adults, $18 in advance; $25, day-of-race. Ages 14 and under, $10. Register at www.christianactionministries.org. Funds will provide new outfits for kids attending the upcoming Taney County School Readiness Fair. Hosting this event is Christian Action Ministries, OACAC and the Salvation Army. There will be T-shirts, finisher ribbons and awards for participants. There also will be a bin for clothing donations. For more information, call Becky Lowrance at 417-294-4775 or email becky@sweetmagnoliatours.com.